Farewell forever, 2011. Welcome aboard the good ship 2012. I am wishing all my family and friends the very best health, happiness, and prosperity in the time ahead. I am glad to report I have survived the fires of Northern New Mexico with more peace, calm, patience, forgiveness, and ability to “get over it,” and, with less obsessing and need to get even. Books of old hurts have been closed and put away. And in this state of mind, there is a strengthening of the ability to intervene in negative thoughts before they spin me around. 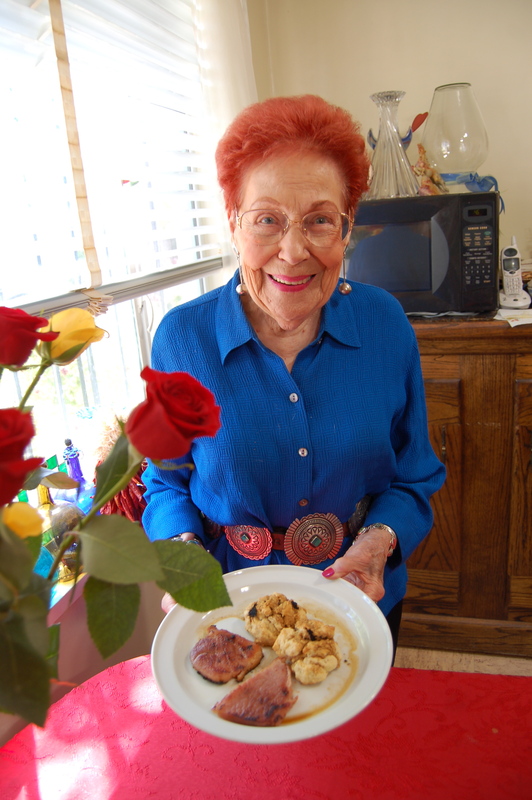 Early 2011 was busy with promoting New Mexico’s Tasty Traditions: Recollections, Recipes and Photos, published by New Mexico Magazine. 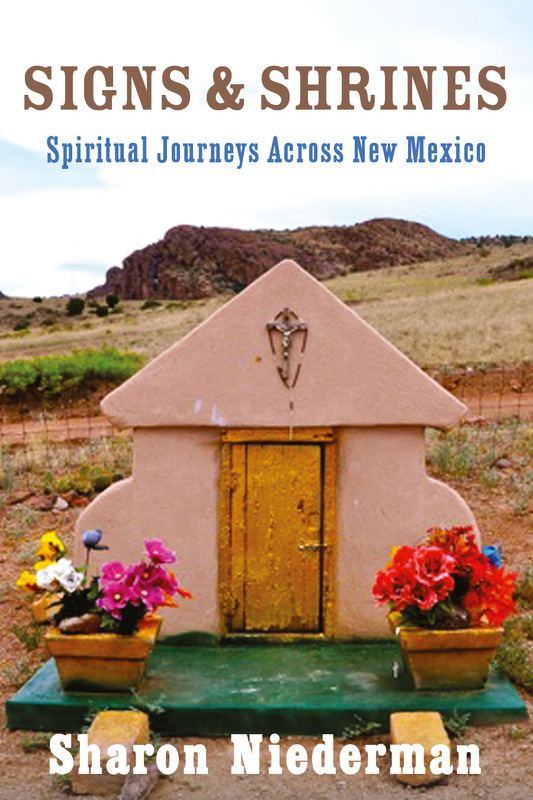 This book earned several awards, including First Place, Cookbook, National Federation of Press Women; Silver, Travel Book, Society of American Travel Writers; and Finalist, non-fiction and cookbook, New Mexico Book Awards. 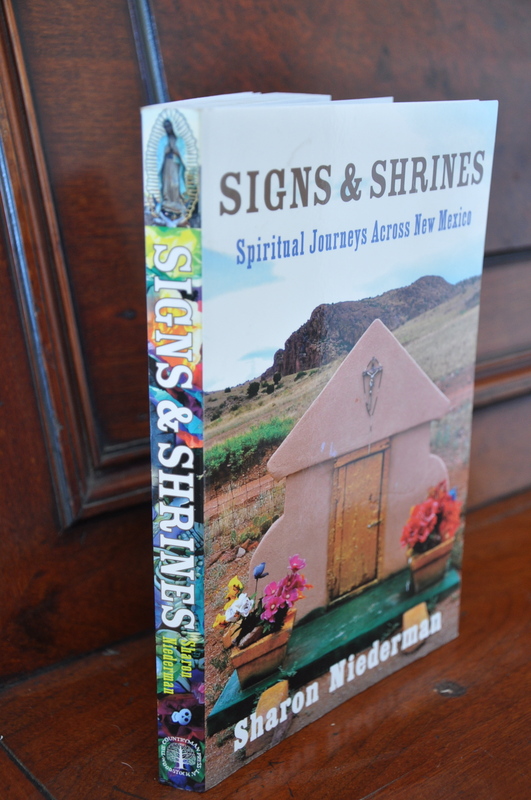 I was also busy putting together Signs & Shrines: Spiritual Journeys Across New Mexico, due out March 5, 2012, from The Countryman Press. The kickoff book signing will be March 29, 2012, 6 pm, Collected Works, Santa Fe. I was fortunate to have outstanding book events at the Fiery Foods Show at Sandia Resort and at Black Cat Books in Truth or Consequences. During the year, I worked with the Clavel family of the five-generationTwin Creek Ranch, Harding County to produce a beautiful family history, and I researched and wrote The Hundred Year History of Santa Fe’s Scottish Rite Temple, due out in May, 2012. My current projects include a new beautiful color edition of The Santa Fe & Taos Book: A Complete Guide and a fresh updated edition of The Explorer’s Guide to New Mexico, both due out from The Countryman Press in 2013. I am also looking forward to a refreshed edition of A Quilt of Words: Women’s Diaries, Letters & Original Accounts of Life in the Southwest 1860-1960 during 2012. In June, I was honored by the New Mexico Jewish Historical Society with their Dr. Alan Hurst Award for service, attended by my nephew, Ian Shlomo Solow-Niederman; then, I delivered the keynote speech, “Reading Sholem Aleichem in Raton: My Life in New Mexico’s Diaspora,” at the NMJHS Annual Conference, in Albuquerque. We have both been fortunate with our businesses: Chuck continues to grow his business of auditing small (no more than one stoplight) municipalities in New Mexico; and in addition to my ongoing work for the New Mexico Beef Council, I have added Taos School of Music to my clientele. I especially enjoyed the week I spent at the Valles Caldera National Preserve with the first-ever Youth Ranch Management Camp working with a super-professional team from New Mexico State University. 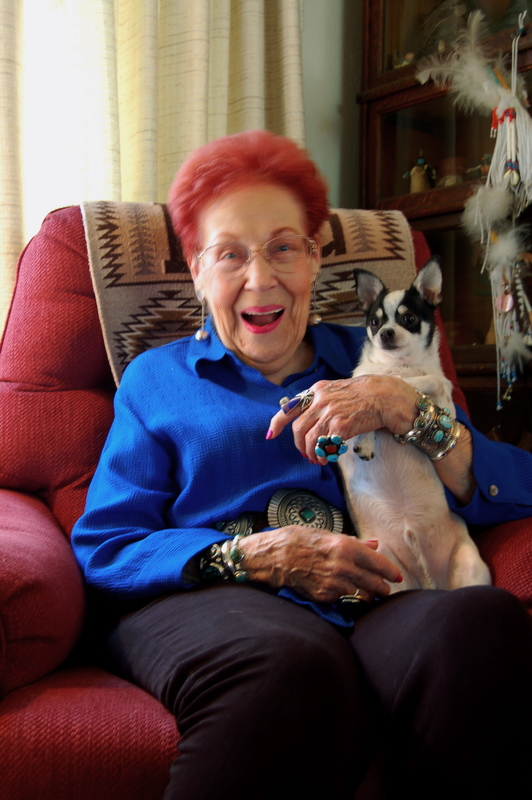 A grant from the Historic Records and Archives Board of the NM State Archives continues to support my work preserving vintage images of northeastern New Mexico history at the Arthur Johnson Memorial Library, and I expect to have a narrated slide show of this work complete in 2012. The year started with a trip to Cottonwood Hot Springs in Buena Vista, Colorado with dear friend Irene Clurman and continued with travel to Silver City and the Gila Wilderness, Gallup Inter-Tribal Ceremonial, Taos Wool Festival, Matachines at Jemez Pueblo, several trips to the hot springs of Truth or Consequences, Eugene, Oregon for the wedding of Na’ama Tubman and Kieran, and Tuscon, Arizona to meet up with my cousin Allison Lehman and husband Billy, plus an amazing (in so many ways) trip to Phoenix, Arizona with Erin Quinn Bodine. On December 10, we celebrated Chuck’s 65th birthday with a party at El Pinto in Albuquerque. Happily, Kevin, Andrea, Sarah and Eric were all able to be there. Dear friends Carl and Becky Calvert of Taos and Mike Taylor and Joan Clark of Santa Fe have generously provided me with homes away from home, and I cannot thank them enough. The same to Eleanor Bravo of Corrales and Kathy Matthews of Albuquerque, for their ever-welcoming hospitality. Our darling pups, Buckley and Samantha, continue to bring us joy (and exercise) every day. As 2012 approaches, I look forward to stepping down as president of New Mexico Press Women and handing the job on to the very well qualified and talented Sari Krosinsky. I have been fortunate to work with a dedicated board, and I am grateful to each one. As I anticipated when I moved up north, some friendships have fallen away, while others have grown and deepened. I continue my love-hate ambivalent relationship with Raton. While I am not by nature a small town gal, I appreciate the clean air, blue skies, sunsets, artists’ light, good water, closeness to nature and lack of traffic, while I miss the people, parties, shopping, movies, lunches, Jewish community and stimulus of Albuquerque. As I have said, Raton is either a trap or the best place in the world to write a novel. I am happy to report that my novel in progress, Morpho Blue, inspired by a trip I made to Ecuador with a University of New Mexico medical team, is well underway, and it is my leading ambition to have a presentable draft ready to go in 2012. I don’t know where this year will lead, but if your journey leads you north, please stop by for a meal or a stay in the casita. We love company. We are blessed with good health, good work, and good friends and wish you the same. PS – To those who, with whatever intent, reproduce this letter in all or part, thank you in advance for driving traffic to my site.